Join Slimming World – for FREE! There’s no time like January to kick start a new healthy eating plan. Buy your copy of Woman’s Own today to find out how you could make the most of this amazing offer. 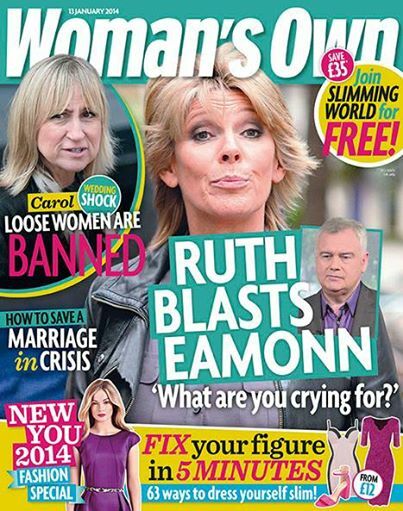 Plus, Ruth blasts an emotional Eamonn, Carol bans her fellow Loose Women from her wedding, our exclusive chat with Dancing on Ice skater Dan Whiston and the celebrity weight loss DVDs that really work… and the ones that don’t.